The resistivity of reinforced concrete may be increased by the application of external wall insulation, water repellent surface treatments, pore-filling impregnation or surface coatings, all techniques available from Weber. BS EN 1504 Principle 8 is concerned with increasing resistivity by increasing the electrical resistivity of the concrete. The resistivity of reinforced concrete may be reduced through the application of external wall insulation, water repellent surface treatments, pore-filling impregnation or surface coatings. 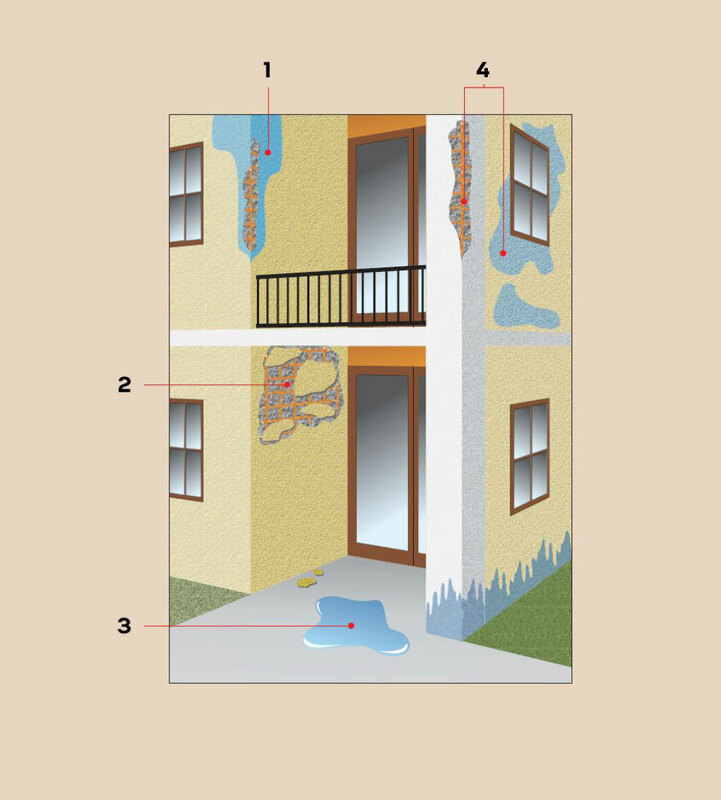 Water penetration due to exposed areas of concrete leading to reinforcement corrosion. Chloride-contaminated concrete leading to chloride-induced corrosion and delamination of concrete. Water penetration due to ponding, leading to reinforcement corrosion. High moisture content on external areas of reinforced concrete leading to reinforcement corrosion. 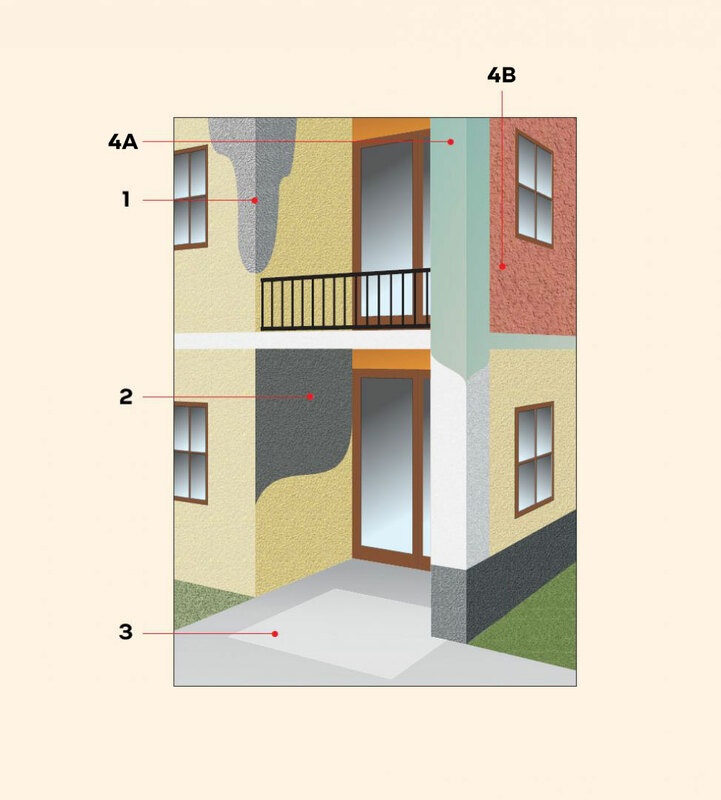 8.1 Limiting moisture content by surface treatment, coatings or external wall insulation. To replace damaged concrete and increase resistivity. Use webercem HB30 or webercem HB40. Impregnation of the concrete surface to limit water penetration. Use webertec aquapel créme. To provide overcladding to the surface of the concrete to reduce the corrosion rate and protect against water penetration. Use webertherm XP.